CTP aftermarket air filters provide the highest possible quality replacement air filter for most cat heavy equipment. The open and closed end caps are fabricated using a polyurethane material that is highly elastic, and provides a high resistance to vibration and impact. The perfect union of the end caps with the filter paper element makes for uniform seal, that does not permit any bypass of incoming air between these surfaces. 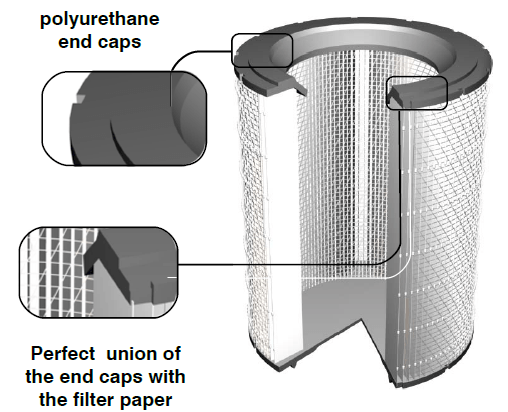 The end caps are adhered to the filter element chemically with a soft elastic material, providing the benefit of a perfect seal and assuring the flow of air through the filter medium.